Rare has been developing video games for more than three decades. From Jetpac on the ZX Spectrum to Donkey Kong Country on the Super Nintendo to Viva Piñata on Xbox 360, they are known for creating games that are played and loved by millions. 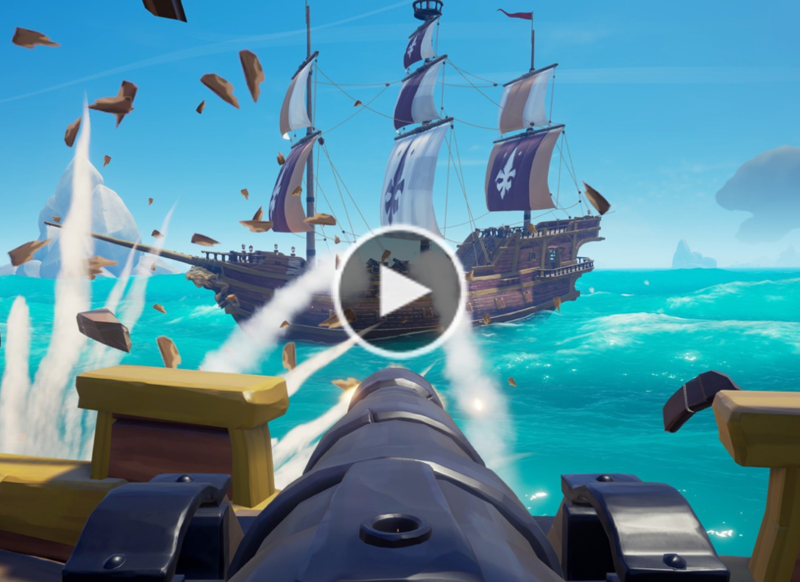 Their latest title, Sea of Thieves, available on both Xbox One and PC via Xbox Play Anywhere, uses Azure PlayFab in a variety of interesting and unique ways. Sea of Thieves is a “Shared World Adventure Game”. Players take on the role of a pirate with other live players sailing around in their ships with their crews. Players can go out and tackle quests or play however they wish in this sandboxed environment and will eventually come across other players doing the same. When other crews are discovered, a player can choose to attack, team up to accomplish a task, or just float on by. Creating and maintaining this seamless world with millions of players is quite a challenge, watch this video to see how Azure PlayFab powers this one-of-a-kind, live game.